The title of the book is a bit of a misnomer. This isn’t really a parenting or family book. This might be just because I have a three-year old, but when I see ‘kids’, I think children under 10 and skew even younger. This book is really a basic apologetics intro that can also be used with maybe high schoolers or fairly knowledgeable middle schoolers. There are discussion questions after each chapter, broken in to two parts ‘open the conversation’ and ‘advance the conversation’. The former could be used for middle school or newer Christians, the latter for high school, but also for discussion in a small group or other Bible Study. Very few people have much knowledge of apologetics, and this book would likely be new to most parents, let alone ‘kids’. The 30 conversations are grouped into five equal parts – the existence of God, science and God, the nature of God, believing in God, and the difference God makes. There is an introduction to each part, then the six topics of conversation. Each topic is then summarized in ‘key points’, followed by the ‘conversation guide’ which consist of ‘open the conversation’, ‘advance the conversation’, and ‘apply the conversation’. As stated above, this isn’t really a book for kids. Maybe the first two parts would work to discuss with middle schoolers, but the discussion questions certainly seem more advanced. Those two chapters seem to be the strength of the book, as far as a parent is concerned. 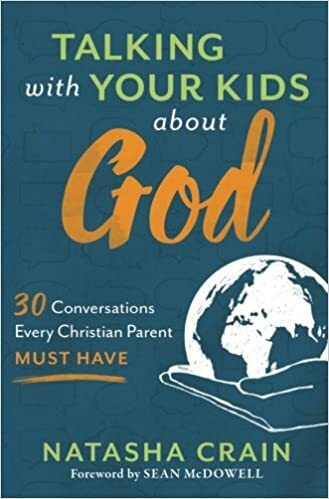 As parent, it would be worthwhile to read through these, so that you can know the discussions to have with your children as the move on through school and start to learn about so-called conflicts with the Bible and belief in God. I can’t really see reading through this book or using the advanced conversation questions with a child that is first learning of the conflict, but reading through as a parent, it would be a good reminder of the conflicts they will face and if you’ve never learned much in the way of apologetics, this will certainly move you in the right direction. Maybe I’m underestimating people too much, but I think this book is much more suited to a small group/Sunday School/whatever you call it, discussion than something to read with children. In that sense, I can’t really recommend this for parents, but I think it is worth checking out as a group leader. The book is fairly basic, but I just don’t see that enough adults have ever learned these ideas, so you need to start with them first. Especially the part, ‘the nature of God’, as this moves out of apologetics and into more of a systematic theology. Two other criticisms I have are that the existence of God, is a pretty good over all part of the book. There are convincing arguments of the existence of a God, but Crain never steps into the realm of the existence of our God, the God of the Bible. Which leads to the most glaring omission in the book, the Bible. There is no major section devoted to ‘the truth of the Bible’ or ‘how do we know the Bible is true’ or something else along those lines. For me, this is where apologetics or knowledge of God has to start. One surprising strength of the book, is the final part, ‘the difference God makes’. Again, this really lends itself to a discussion group, as it more or less a group of discussion about the impact our knowledge of God should have in our lives. I really enjoyed this section and will likely use it, if not the whole book, with the group that I lead. Overall, a pretty good book. I’m not sure it met the stated goal of discussion with kids. Catechisms are still probably the best thing for that. However, I do think it would work really well as an intro to apologetics, a basic primer on the knowledge of God, and could open up great discussion on the impact this knowledge has on our lives. With the ‘key points’ and ‘discussion guide’, I think this book could be repurposed into an interest group study. Level: Quick, easy read; short book. The title of this book is a little strange. For the most part, the book is about Biblical parenting in a secular world (which is more or less what the subtitle says). 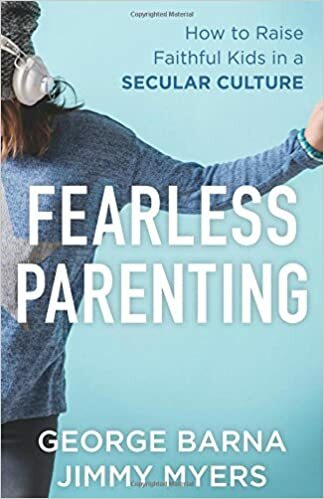 The name comes from the second chapter, where the authors tell you to reject fear as your basis of parenting. That is all well and good, but the response in this chapter is in relation to the first chapter, which might be one of the worst examples of writing in any parenting book, ever. I’d highly recommend skipping the first chapter, if you have any plans on finishing the book. The remainder of the book is pretty solid; with almost a completely different feel than the first chapter (as if there were two authors…). 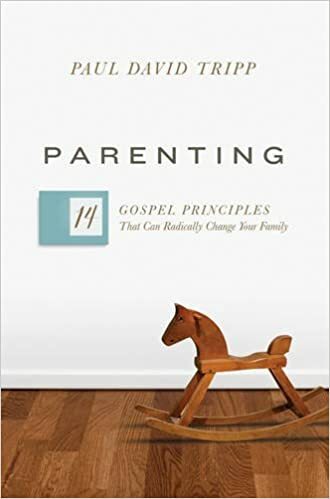 The first few chapters are general reminders and thoughts on parenting from a Christian perspective that should be familiar to most church-going families. Some of the topics covered later in the book include clothes, materialism, social media, and ‘screen-time’, and they all contain good, practical advise. The one section where the book really does shine is in discussion of kid’s sports. 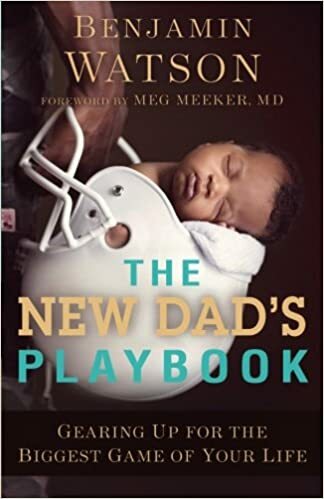 In it, the author calls out parents who try to live vicariously through their children in sports and challenges parents to ramp down the amount of sports played and to not make them the number one priority in the life of your family. The section of the book was redeeming enough for me to not rate the book lower. I wanted to like this book more, but it was hard to get past the first chapter. In it, the author ‘projects’ what life make be like in 2030. Some of the ‘data’ points (such as rising crime, or Trump reducing/balancing the budget) are somewhere between disingenuous to out right lies. In case you decide to fact check (which I did), he heads you off by pointing out that if you think he is being ‘too political’ (or, what I’d call, maybe just being a complete political hack) it is because YOU, reader, are too politically correct. Along with misused data, the author also gives us an Orwellian tinged far right-wing dystopian fantasy; including the suggestion that new government agencies will be created and that pastors will have to submit their sermons/teaching for approval by the state. Honestly, this first chapter is just embarrassing. It hurts me on two levels. First, as a Christian, it is embarrassing that this book is written by/for and published by Christians. I suppose the author may shrug it off and say, ‘this is just what could happen.’ However, his projections are based on neither facts nor anything to do with Christians. It is straight up far-right political (hackery?, propaganda? fantasy/nightmare? I can’t even come up with the right word for this). It reminds me of the chain email that went around (you probably got it from your mom or grandpa) 2008/2009 that claimed that Obama was the anti-christ and that Revelation said he would be a Muslim. Of course, the book of Revelation makes no such claim, and Islam would not be founded for a another couple of centuries. Overall, I think the first chapter could best be summed up as an email your grandmother would forward you because she is scarred. I think this is probably one of the biggest reasons why young people leave the church today. This is beyond the scope of a book review, but a generation ago, people left the mainline churches because they sounded like democratic party meetings, and now people are leaving evangelical churches because they sound like republican party meetings. Second, this chapter was bad in it’s use of statistics. George Barna and I both have master’s degrees in City Planning, so I feel he should know better. Which leads me to another criticism of the book overall – with one of the authors being the head of a major polling/research group, the book was very lacking in data. I was interested in this book partly because I thought, with Barna being co-author, it would be data heavy. Then again, based on the first chapter, maybe that is for the best. This has already gone on too long for a review, so I’ll wrap up quickly. The sections/chapters on social media and screen time offer some great guidelines and I appreciate anytime a parenting book (especially Christian focused) offers practical examples. The section materialism was impressively counter-cultural. It did a good job of calling parents out for their endless wants and purchases as a way of setting a poor example for our children. Finally, I was really impressed with the section on sports. This is something of a sacred cow in America, particularity for things like Baseball and Football (especially here in the South). It is an incredible challenge the author lays out, telling someone you may skip a tournament, or not enroll in a sport because it has games on Sunday. They do well in discussing the impact too many sports have on your family life (e.g. vacation time or even canceling vacations), on your children’s health, and, most convictingly, your own idols (vicarious living, or idol of parenting a sports star in think on how that reflects on you). I haven’t seen a parenting book really reflect on sports to this extent before, and it almost makes the whole book worth reading. However, due mostly to the drag of that first chapter, I think this book is mostly not worth your time. If you are specifically looking for some guidelines on materialism, social media/screen use, and sports participation, it may be a worthwhile. However, you can probably find some decent guidelines for most of these online somewhere, or perhaps in other books. With Fathers Day coming up in a few days, I figured instead of my usual Wednesday book review of a single book, I want to be lazy and just give you a list of books that are interesting for fathers. Sorry if the suggestion skew young as they are all about pre-dad to preschool, mostly baby and toddler books, but I’m young (ish) and have just the one toddler, so I don’t know what to tell you other than to check back in the next few years for more. This book turned out better than I thought. I was little skeptical at the beginning, with the intro chapter somewhat meandering, but Watson really got into stride with the practical advice. As mentioned above, training camp was probably the weakest, but I have to say, I was really surprised at how well the ‘regular season’ chapter turned out. It was a great pregnancy 101. Watson actually goes through the different terminology, stages of pregnancy, and medical options defining and explaining in quick and simple terms what they mean. Maybe it is because Baker is a ‘Christian’ publisher (who typically aren’t great a practical advise), but I was surprised at how useful and practical this section was. ‘Postgame’ and ‘Off-season’ where also good chapters, where he moves away from practical advice (in the step-by-step, playbook sense) and honestly moves into challenging men. Basically saying we need to step up for our family, work to keep the marriage strong, and then realize we will fail, regardless, and that it is alright, because you can’t be a perfect dad. To wrap-up and really expand the breadth of the parenting aspects, he ends on a solid discussion on what it means to have another child, and even differing thoughts on how long to wait and how many children to have. For those skeptical that you can find a practical (pre)parenting book from a CHristian publisher, this one is the exception. For those maybe interested due him being a famous football player, but disinterested in the CHristian-y parts, I think it is still a solid option. The intent of the book is to be practical and helpful, he isn’t kidding with the ‘playbook’ part of the title. However, it is clear that the man loves God. He obviously takes his relationship with God, his wife, and his children very seriously. It was encouraging and convicting at the same time. 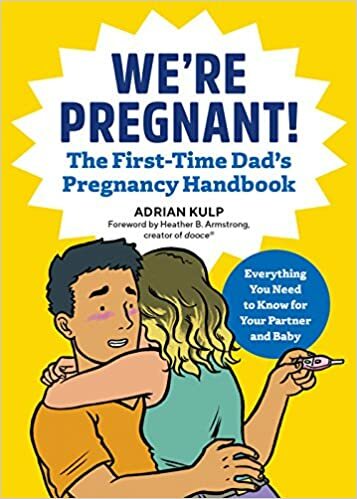 Any pre-dad should have a number of books and resources in mind, and this is definitely one to put on your list. If you have a friend that doesn’t like reading and might only read a book because it was written by a football player (and you probably know a few), this book is perfect. I can think of a guy right now whose wife is almost through the first trimester that I will give this book to. The practical advice, the sports references, and the quick and easy pace of the read will make this book one that anyone will finish. **You still have time to order this book and give it to a pre-dad as a father’s day gift, should you be so inclined. Well, it’s a book about parenting. Pretty good summary, right? This is an interesting book because the approach is very different that most parenting books. The main difference being that there is nothing ‘practical’ about this book. That can be incredibly frustrating and challenging as you read. You are not going to find anything about sleep training, how to deal with allowances, or curfews in here. I guess the best summary would be to say that it is solid reformed theology and how it relates to parenting. Probably the most interesting part is a reminder of the most important roll for you is as parent. What would you say if asked? I know it’s not to make my kid happy. My answer is typically something about independence and teaching your kid to take care of herself. That is wrong though, as Tripp points out, your most important goal is to teach your child about God, who He is and what He has done for us. That is his starting point, and it only gets more challenging from there. This book is a mix of good reminders, frustrations, and challenges of parenting. If you are familiar with reformed theology, you’ll have a decent idea of what is coming in this. Your child has problems because she is sinful. You don’t model well and have problems being a good parent because you are sinful. That can get old, because at times you feel, what’s the point, then? It is incredibly useful however, like much in the Biblical Counseling movement that Tripp is a part of, the focus on someone’s sinful nature is a good place to start. It can be kind of funny, sometimes, honestly. I’ll catch myself in a moment with Sprout, when I’m angry and thinking, why in the hell did you do that? Then I kind of laugh and think, well, you are just a tiny fallen human. Tripp also does a good job of shining a spotlight on parents as sinners. That’s also annoying, but again, it is useful to help check your own feelings and reactions. All that being said, I wanted to like this book more. If you are having problems parenting, or looking for a foundation, or just trying to read everything you can about parenting, then this is a good book. It is well written and incredibly strong on theological basis. I may be the only one, but it just didn’t sit right, I’m not sure why. Maybe because it is different. It really is a book about the heart of parenting and understanding the heart of a child. I have a toddler, so I guess I was wanting something that spells things out a bit more. There are so many day to day things and broader parenting questions that this book doesn’t really address (or attempt to, to be fair). Should you spank, and how old is too old? What about screen time or games on the phone? You won’t find these answers, and maybe in the long run, they don’t really matter, but that is what you expect from typical books. Instead, what Tripp has done, is focus you first on the important task of teaching your child about the Lord, then basically just asking you challenging questions, instead of offering answers, then leave you to figure it out. * I received a free copy of this book from Crossway in exchange for an honest review.